Facts About Indian Currency - IAS - Daily Current Affairs, IAS Syllabus Exam Strategy, IAS Preparation. The first coins were minted (made) around 2500 years ago. Paper money was first used in China over 1000 years ago. The first "rupee” was first introduced by Sher Shah Suri. It was based on a ratio of 40 copper pieces (paisa) per rupee. 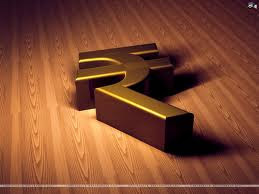 Udaya K Dharmalingam is the designer of the Indian rupee Symbol, which was adopted by the Government of India in 2010. From 1953, Hindi was displayed prominently on the new notes. The Government of India took over the issue of bank notes in 1861 from the Private and Presidency Banks. The first series of coins with theIndian rupee symbol was launched on 8 July, 2011. The first 1000 Rs Note was introduced in 2000. Decimalization started in 1957 and the rupee was divided into 100 Naye Paise. Total 15 Languages (Apart from English) are printed in Indian Rupee Note. They are Assamese, Bengali, Gujarati, Kannada, Kashmiri, Konkani, Malayalam, Marathi, Nepali, Oriya, Panjabi, Sanskrit, Tamil, Telugu and Urdu. In India, the first paper bank note was published by Bank of Hindustan in 1770. The current Mahatma Gandhi series of bank notes stared from 1996 with new series of 10Rs notes. Indian coins are produced in 4 cities: Noida, Mumbai, Hyderabad, Kolkata. The coins produce from each city puts an identification mark under the year of issue. Coins produced in Noida have a dot mark, Mumbai have diamond mark, Hyderabad have star mark and coin produce from Kolkata have nothing beneath the year. Credit cards were first used in the United States in the 1920’s. im nw pursuing b.tech final year..n i want to attept civil services xams in 2014..im i eligibile to attend it in 2014..by that time i may not recieve degree certificates from university..can i?